A car was involved in an accident in a street. As expected a large crowd gathered. 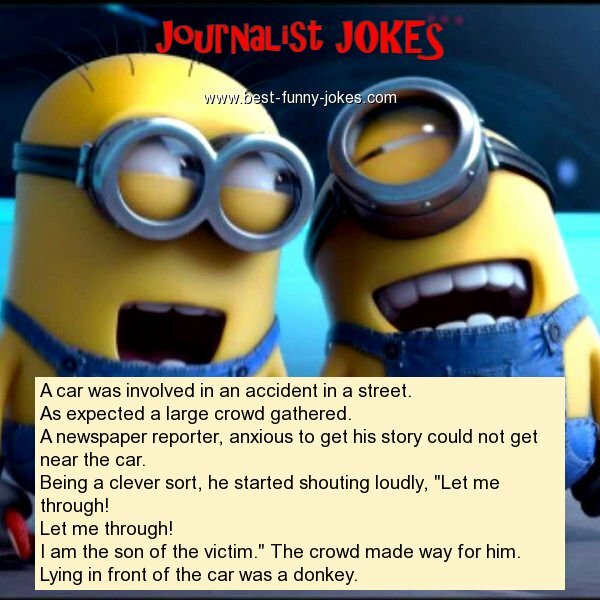 A newspaper reporter, anxious to get his story could not get near the car. Being a clever sort, he started shouting loudly, "Let me through! I am the son of the victim." The crowd made way for him.